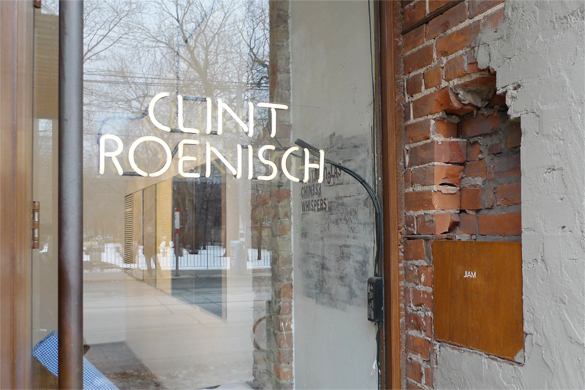 Clint Roenisch Gallery, nestled in the hub of the West Queen West "Art + Design District," is a small gallery that packs a punch. Having opened its doors in 2003, the gallery has a history of exhibiting some of the most avant-garde work to hit Toronto, and actually pre-dates its neighbour, the Museum of Contemporary Canadian Art , which opened in 2005. Before starting his own space, Clint Roenisch established himself firmly in the art world during his time as curator of the Kitchener-Waterloo Art Gallery--an important period, since it was through this practice that he met and learned about artists that he continues to work with to this day. Roenisch relocated to Toronto to open an outpost of Monte Clark Gallery (now Clark & Faria ), moving into the commercial gallery world from the art-museum world --Roenisch jokingly calls that transition, "when I crossed over to the dark side." He was ready to strike out on his own after a few years. "When you work for another gallery, inevitably you're facilitating their vision," he says. 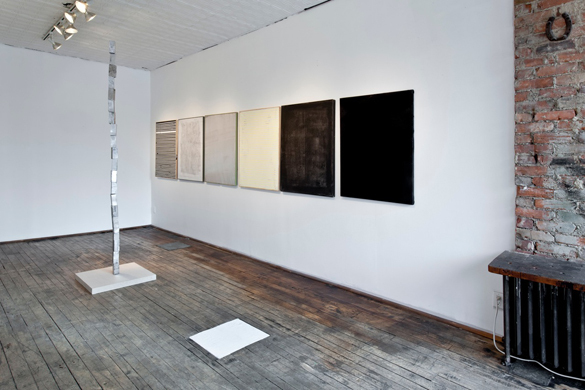 The "dark side"--that is, the commercial gallery world-- presented some positive changes. Roenisch says of being a curator, "It was great, but I think if I'd stayed, I would have been fired. It doesn't suit me," explaining he prefers the freedom of being self-employed and self-directed, without having to answer to a board or governing body. "It's definitely more autocratic." Roenisch, a soft-spoken yet commanding presence, has a taste for this independence: "I opened my gallery so I could have a say in what is being shown," he says simply. 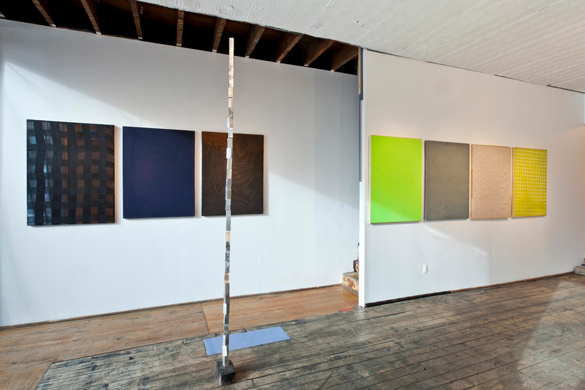 "The work is certainly quite disparate," Roenisch says, describing the wide swath of art he exhibits at 944 Queen West. The gallery represents about 20 artists working in various media, mostly Canadian with a few internationally-based artists as well. 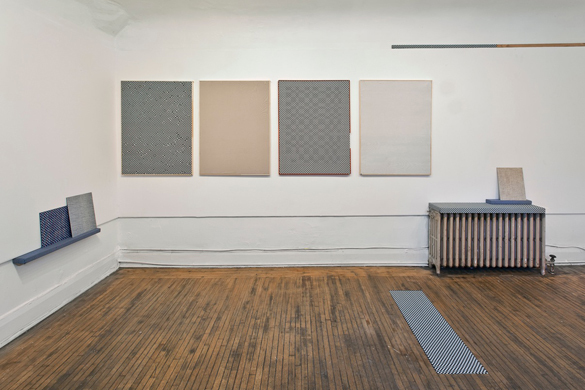 Roenisch likes the dialog that's created by having many different kinds of work in close proximity. When I visited, the playful abstract paintings of rising painter Hugh Scott-Douglas were on display--Scott-Douglas is the youthful end of the gallery's roster, while acclaimed painter Harold Klunder is at the other end of the spectrum. A common thread, offers Roenisch, is that he's interested in artists who are aware of what's come before them, art-historically speaking, and who are unswayed by trends. Like most art lovers, he has some particular tastes too: "We're not here for very long--our time [on earth] is quite transient," says Roenisch with a shy grin. "Art that speaks to that intrigues me." Many recognize the gallery by its old hand-lettered window text. "I forgot to order the vinyl lettering for the window, and we'd already sent out invitations for the first opening party," Roenisch explains of its origin. "We had to open, even though we weren't quite ready, and I decided to just write the gallery's name on the window in oil stick. It was hard to write backwards, I was very stressed out--I f**ked up the word 'gallery,' crossed it out and wrote it again; it looked OK, it was playful. I said, 'I'll deal with it tomorrow' and we ended up just leaving it. It helped us stand out." When the gallery turned five, Roenisch commissioned a font-- "It's called Roenisch Regular," he says with satisfaction. It's used in the gallery's web and print material, and in the neon sign that was installed after the emblematic writing was wiped away. It was time for a change, says Roenisch: "There's always the danger of ossifying--you just can't."